I had just made a large batch of my masala chai tea latte when I remembered that I was about to go out of town for a while. There was no way I would drink it all before leaving for my trip. My first thought was “oh no, chai latte down the drain.” But my second thought, with a mischievous smirk, was “there’s only one thing I can do about this situation”. I promptly put the ice cream machine bowl into the freezer and began turning that chai into an ice cream base. I consulted my go-to guide in ice cream making, local favorite Ample Hills Creamery cookbook. 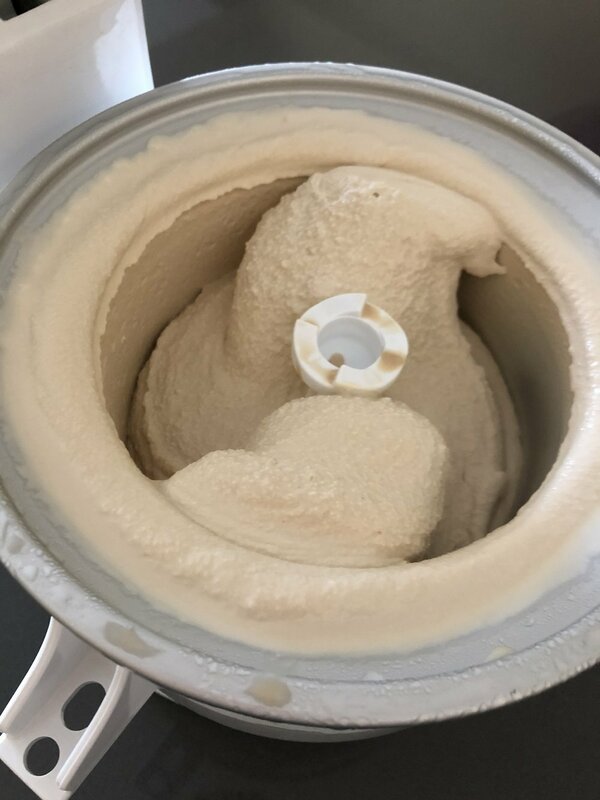 Their Walt’s Dream base and overall ice cream making instructions were a fantastic starting point for this batch of Masala Chai Latte ice cream. One great tip provided by Ample Hills is to use skim milk powder in place of some of the milk. They consider it their secret ingredient because it provides creaminess without adding too much water, which would lead to dreaded ice crystals. It’s perfect when making an ice cream from a mixture already containing a bit of water, like tea. If your grocery store doesn’t sell skim milk powder, you can easily buy it online. So, if you ever find yourself with an excess of chai latte (ah, when does that ever happen?) you can quickly churn that into a creamy caffeinated frozen treat. Or you could also make yourself a batch of masala chai, drink a cup with a friend and use the remainder for this sweet & spicy afternoon pick me up. To me, it’s like coffee ice cream but way better! It pairs nicely with a sugar cone, oat cookies or biscuits, but can also make a decadent sundae with hot fudge, whipped cream, and bruléed peaches. As per the instructions of your ice cream maker, put your ice cream bowl into the freezer to chill. 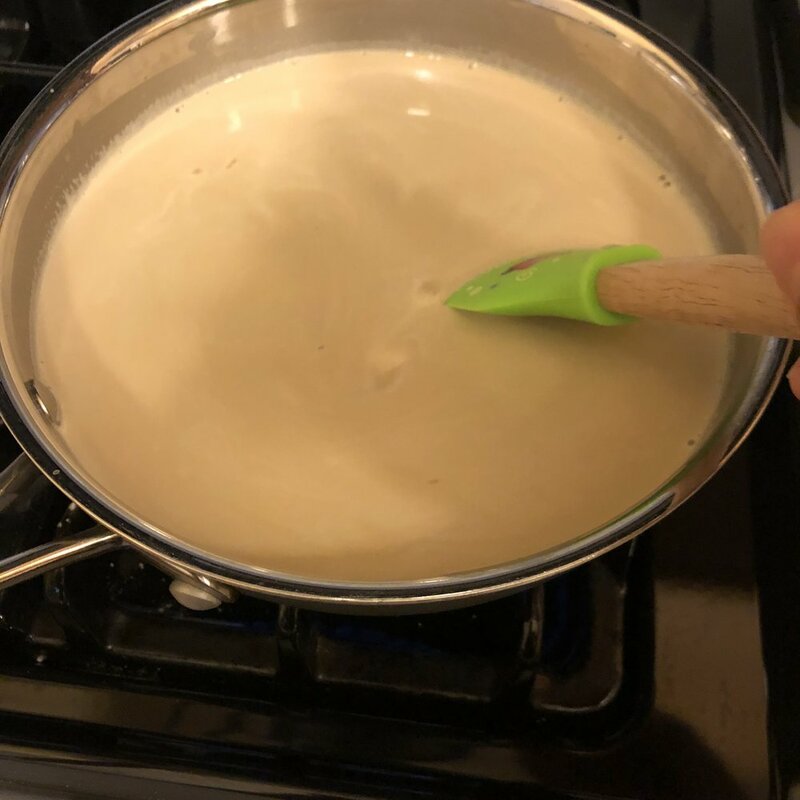 Pour prepared masala chai latte into a medium saucepan and whisk in the turbinado sugar and milk powder until they are fully dissolved and there are no lumps. Stir in the heavy cream. Heat mixture over medium high heat until it just begins to steam, about 5 minutes (or when temperature on instant read thermometer reads 105 degrees). Turn off the heat. 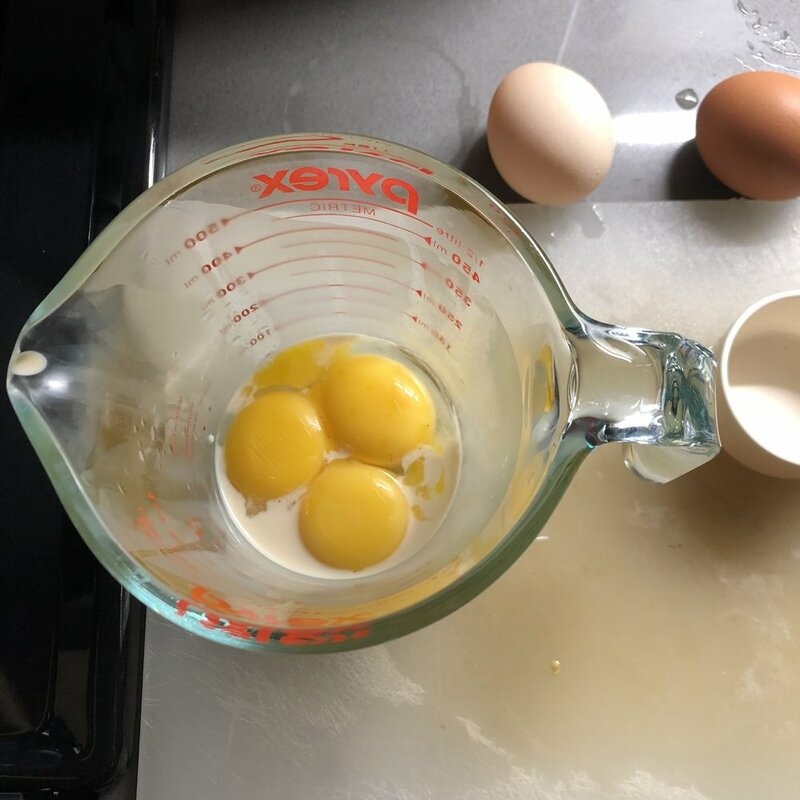 In a bowl, whisk the egg yolks while simultaneously streaming in about 1/2 cup of the hot chai mixture in a very slow drizzle. Slowly whisk this egg yolk mixture back into the pot. Heat on medium low heat until mixture thickens to coat the back of a rubber spatula and tiny bubbles appear (or when temperature on instant read thermometer reads 165 degrees) about 7-10 minutes, stirring frequently. Remove from heat and set pot into an ice bath (a larger pot or container filled with ice water). Alternatively, transfer the hot mixture to a heat proof bowl or pitcher to place into ice bath. Avoid getting ice and water into your ice cream mixture. Chill in ice bath for about 20 minutes, stirring every 4-5 minutes. Strain mixture through a mesh strainer to remove any lumps and transfer to a container with a tightly fitting lid. Chill in the refrigerator for 6 hours, or until your ice cream machine bowl is ready, or up to 3 days. Freeze in your ice cream machine according to the machine's directions.